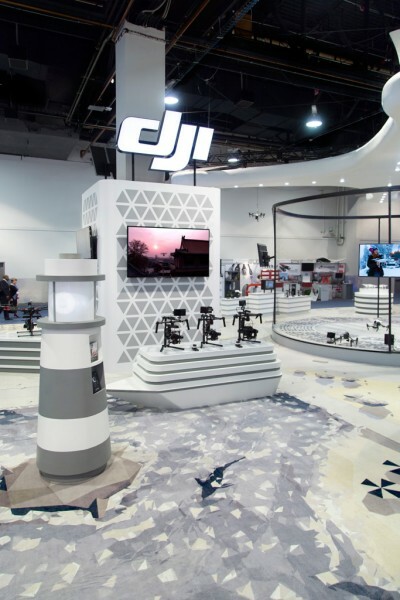 This exhibition site was designed for DJI, who account for 70% of the global drone market, as part of the world’s largest broadcasting equipment exhibition, NAB Show 2016, held annually in Las Vegas, United States. 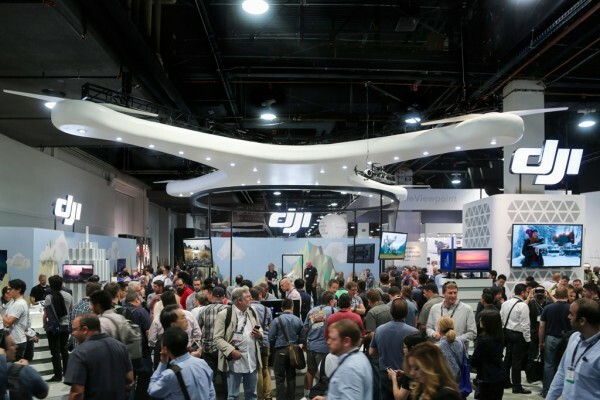 DJI required a stage presence commensurate with their position as global leaders of the drone market, something that would capture the attention of the many people coming and going in this crowded space. 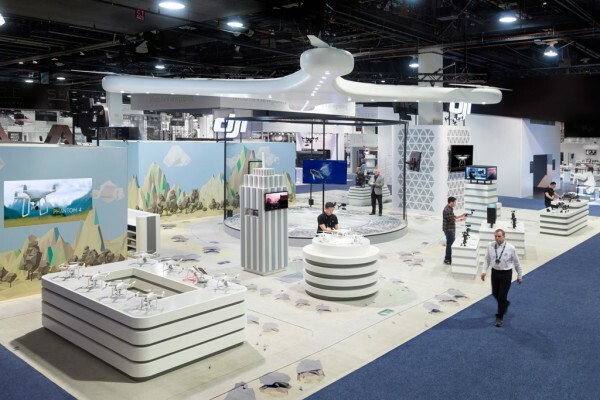 The entire booth was designed to appear like a city by placing graphic panels similar to a map representing blocks of land, waterfront, and terrain across the whole 325m2 rectangular floor with pathways on three sides. 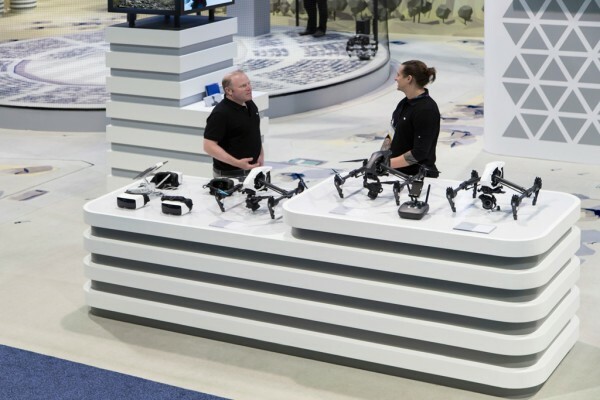 There is a large object suspended overhead that is modeled on a drone, as though it were flying over the virtual city. 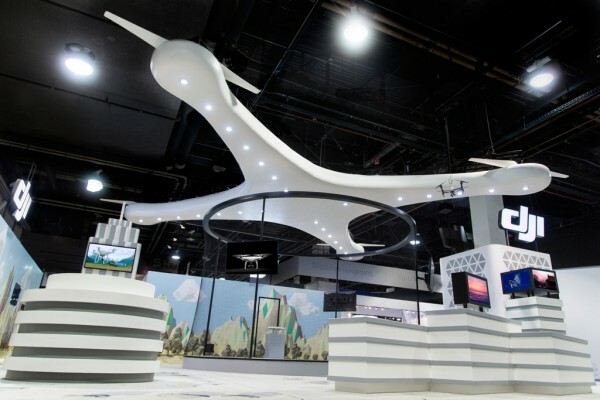 This giant drone acts both as an icon visible from any point in the venue and as a source of light illuminating the entire booth with its built-in downlight. 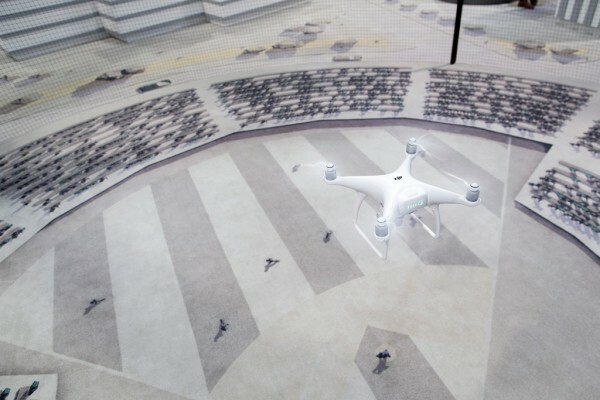 The central area resembling a stadium is used as a flying area to demo the drone, while the surrounding area is encircled by exhibition appliances designed to appear like buildings. 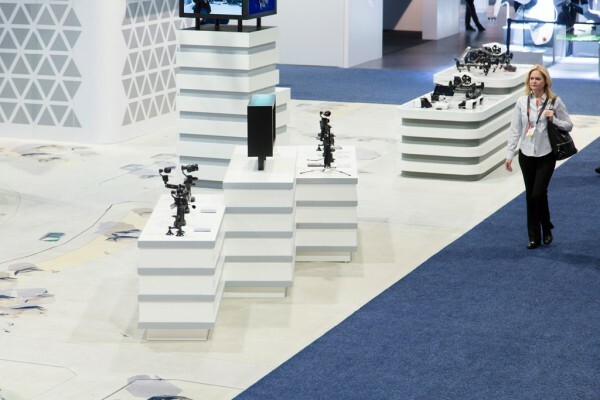 The design consistency of the exhibition items that provide commentary was created by treating the commentary video monitor as if it were an electronic billboard on a commercial building in a city-like environment. 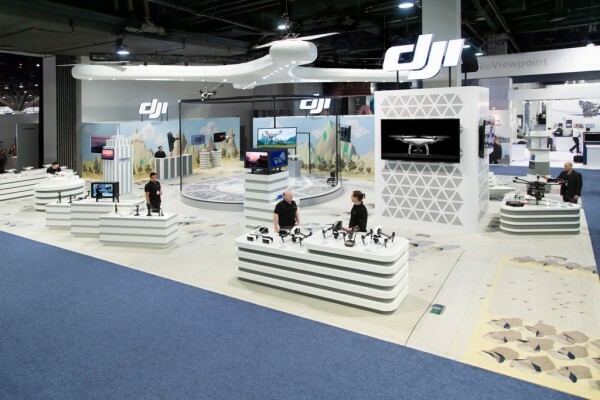 In recent years, the way we experience cities and nature has been changing due to the growing popularity of drones. 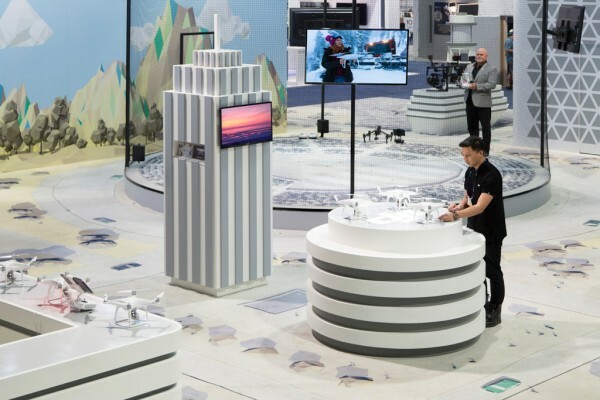 The concept behind the giant drone and miniature city symbolizes a sense of the new relationship between people and cities.